David Stringer-Lamarre, MD of FortisCL, within his role as Chairman of the Institute of Directors, London Region, was very pleased to attend this Chinese New Year celebration. 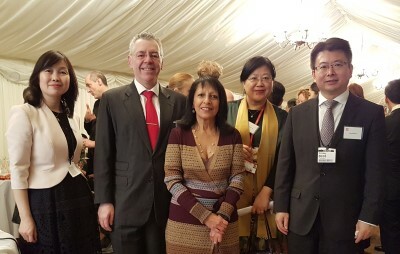 It was organised by the Confucius Institute for Business, London School of Economics (CIBL LSE) and hosted by The Baroness Falkner of Margravine. A welcome address was delivered by The Baroness Falkner of Magravine. This was followed by an interesting speech about the work of CIBL LSE by Professor Jinghui Wang, China Director, CIBL LSE. Awards were then presented to Chinese language students of CIBL LSE. Richard Chenga-Reddy spoke on behalf of the Advisory Board of CIBL LSE and praised the diligent work and high standards of it staff.